Maca, also known as Lepidium meyenii, is a type of root native to the high altitude area of the Andes in Peru. It is a traditional part of the Peruvian diet where it is used as both a food and traditional medicine and is regarded to boost energy levels and fertility. Legend has it that the Incan warriors consumed Maca before battle to boost their strength! It has recently gained more causes and types popularity as a ‘superfood’ where it is often consumed as a dried powder. Maca is the subject of many clinical trials looking into potential health benefits, mainly around its role in fertility and energy levels, however at this time these are limited in number and quality so there is no definitive widely accepted evidence. 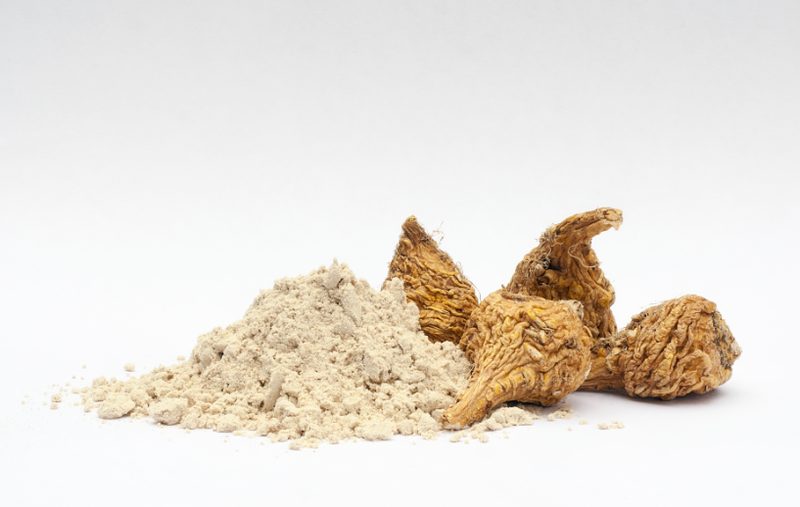 Maca powder contains a good profile of essential amino acids alongside minerals such as calcium and phosphorus, lab based studies have shown it has antioxidant properties – an ability to scavenge free radicals and protect cells against oxidative stress. Maca has a naturally malty, nutty taste and certainly boosts our super shakes!